Not interested untill they dont make phone with next infinity display. This hole, V shi**** is just not excepteble. Careful. If you use your brain around here you’ll irritate some blind fanboys. And they can be as bad as iSheep. They look very good. Not mad about the hole though, but I’m a Note user. That’s a personal opinion, I could change my mind depending on how it’s implemented and how the software works around it. I still hope Note10 manages to be full infinity, though if not will hold onto my Note9 until the Note11. Btw, been using One Ui, night mode permanently enabled, and it’s really fantastic. The note 10 will be the S10 plus with an s pen and minor he tweeks. Doubt they will give it the infinity display. And the S10 Crappy gets crappier. Not only if only gets 2 cams after all, but the power button is way too high for the fingerprint scanner to be comfortable to use. Can’t wait to see the sales on these three upcoming disasters…maybe then Samsung will wake up. What are you talking about? 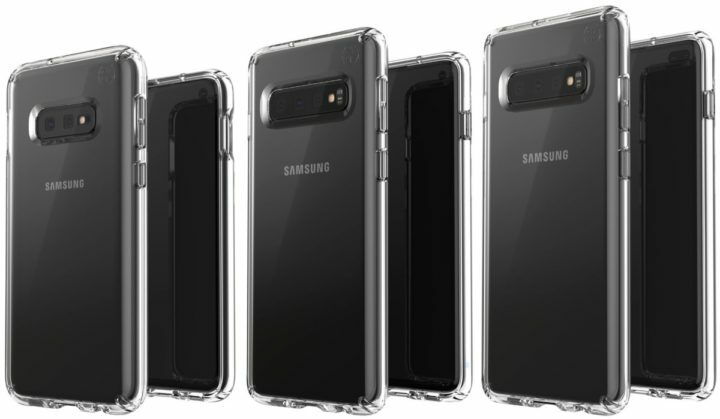 The article state the S10 has triple camera and just Lookefully the S10 has 3 cameras and the s10e has 2 on the back. Plus when do you use the power button nowadays? Except for the double press for quick camera launch? The S10 Crappy is the S10 Lite, genius. And it only has 2 albeit the rumours that it would have the same 3 cameras. Meaning it’s an even worse phone than expected. Who uses the power button? They, genius, since Samsung phones lack double tap to wake and the S10 Crappy lacks an in display fingerprint scanner, how are you going to turn it on? Use your brain. The S10 Crappy will be Samsung’s iPhone XR. An overpriced oversized phone asking for a ton of compromises at an absurd price. Mark my words. There were never rumors that the s10e would have triple camera. What you taking about needing to double tap to wake up. There is something called fps that wakes and unlock the phone without the need to press the power button. No need for a genius to know this. If you learnt to use that function on the s9 then you would know. It’s not like the s7 where you have to press a button before engaging the fps. Yes, there were. You might want to go so some reading on this very website. Also, are you retarded? I clearly said in my original post that the fingerprint scanner on the S10 XR was too high to be usable. The scanner WILL BE IN THE POWER BUTTON. So yeah… Maybe instead of coming up with desperate excuses to justify these upcoming failures you should pay more attention instead. A bit of realism would do you good. If you don’t like the S10 don’t buy it. No need to keep on telling everyone it’s crap. Just shut up and go love your Sony compact phone. No one cares. It’s not Samsung fault that you have freakish small hands and can’t use the small s9 comfortably. I will continue to say it’s crap whether you like it or not. I don’t give a flying f*ck about what you think. Nor about your complaints. And my hands are probably bigger than yours. The difference is I have a life and can’t constantly stop everything I’m going to use the phone. If I lived in my mommy’s basement like you and had nothing to do, I would be fine with oversized phones. I thought that weekend is free from news. I want to rest from daily reading sammobile. Then don’t come and read it until Monday. Ok I will try this next week. I’m daily reader. I’m reading all news.